By Waldy Diez SYRACUSE, N.Y. (NCC News) – Many kinds of fruit are currently in season, and one tree will have a variety of 40 different types of fruit when fully mature. Contemporary artist and Syracuse University associate professor of art Sam Van Aken created the Tree of 40 Fruit from an art project. The trees blossomed to different shades of crimson, pink, and white; they produced almonds, apricots, cherries, nectarines, peaches, and plums. The professor used a process called grafting to create the different growths on stock trees. This involves cutting a tree branch and attaching it to a suitable rootstock so the two will grow together. 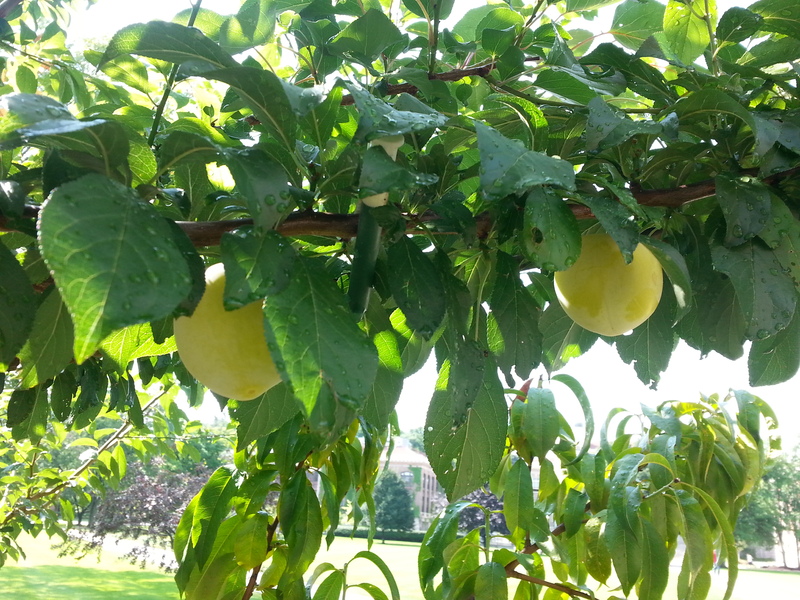 Each tree will produce new growth for the season that will then be pruned and grafted to the Tree of 40 Fruit. 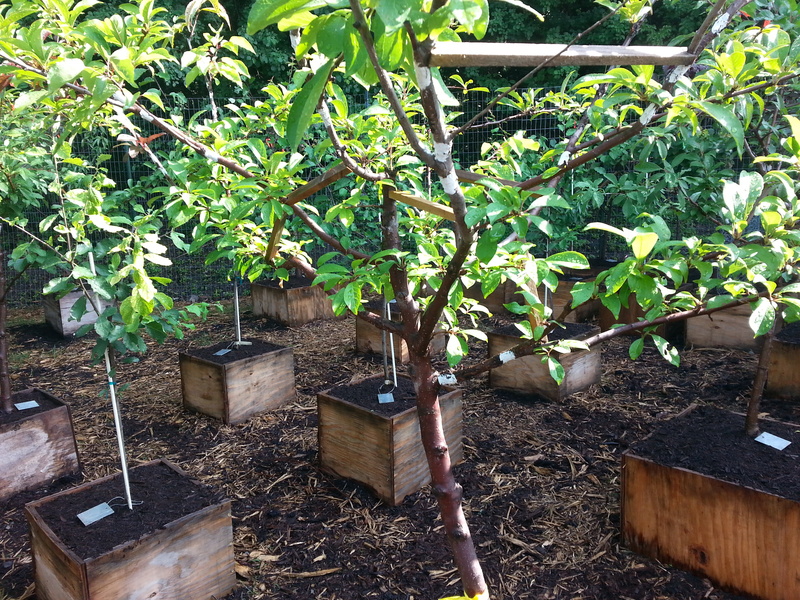 With the help of Syracuse University and a grant from Creative Capital, Van Aken leased an orchard in Geneva and used those trees as stock trees. Although Van Aken’s 1500-square-foot nursery is located next to the Comstock Art Facility and has a tree located on campus, these trees are in museums and public places around the nation. He is also working with a grocer in Portland, Maine to bring the fruit straight from the tree to the market. He wants to create a sustainable development with a grove of trees where people are just “welcome to take the fruit” from them. Portland and Syracuse have different winter weather patterns, so how can the same type of tree survive in both climates? Van Aken says this isn’t a problem. All of the trees used for the Tree of 40 Fruit are meant for the Central New York climate; they will blossom in the spring and bear fruit in the summer like they are meant. However, he will put four-inch blocks of styrofoam around the boxes at the bottom of the growing trees so they won’t freeze. If the trees survive the harsh Syracuse winters, what does Van Aken have to worry about? Fruit eaten before they have had a chance to ripen.